Former President Olusegun Obasanjo has blamed state governments for the comatose situation of local government administration across the country. He also accused them of deliberately working against local government autonomy and noted states have incapacitated the councils financially. This, according to Obasanjo, has rendered several councils disabled to perform their statutory functions. 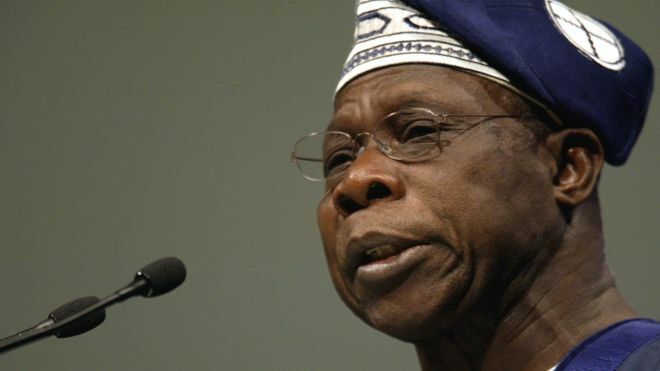 Obasanjo spoke on Monday while addressing members of a group, Friends of Democracy, who paid him a courtesy visit at his Olusegun Obasanjo Presidential Library (OOPL), residence in Abeokuta. The group has visited the former president to enlist his support on the LG Autonomy Bill, which had been passed by National Assembly but still requires the nod of not less than 24 State Houses of Assembly. But addressing the group further, Obasanjo recalled that the LG Reforms carried out in 1976 was meant to give LG as third tier of government and not an appendage. He, however, expressed his regrets that state governments which are autonomous have opposed to the agitation of granting autonomy to councils in Nigeria. While saying nine states that have signed the LG autonomy bill, should be commended and regarded as progressive states, Obasanjo knocked states that are yet to do so and tagged them â€œenemies of the massesâ€. He, therefore, asked the leadership of the Nigerian Labour Congress (NLC) and the Nigerian Union of Local Government Employees (NULGE), to be at the forefront of demanding for the LG autonomy in the interest of the people at the grassroots. Obasanjo said, â€œWhen in 1976, we brought in Local Government Reforms, it was meant to be third tier of the government and not meant to be subjected to whims and caprices of any other government. Just the same way that the state government is autonomous from the Federal Government. â€œLocal Government is meant to be autonomous from the state governments. But from what we know, by design, most states have incapacitated the Local Government. They have virtually stolen the Local Governmentsâ€™ money in what they called Joint Account. They were to contribute 10 percent but they never contributed anything. â€œSo, what we have across the country are Local Government Areas that have functions, but cannot perform the functions. They have staff but most of them cannot pay the staff, and we keep getting excuses upon excuses. â€œAnd I see no reason why this should be so, if the Federal Government allows the states to enjoy their autonomy except in the case of state of emergency. â€œThe Bill passed by the National Assembly which requires 24 State Houses of Assembly and like I am told only 9 States have signed it. â€œI am proud of those states because they are what you will call progressive states that really believe in democracy. â€œMy own state (Ogun) is one of them. I will say kudos to Ogun State. In the South-South, only Bayelsa and Cross River States have signed it. Kudos to those two states. In the North-East, itâ€™s only Bauchi. In the North-West, itâ€™s only Sokoto. In the North-Central, we have four states, Kwara, Niger, Plateau and Benue. I will say kudos to the executives and the legislature of those states. â€œBut we must say those state executives and the legislatures that have prevented the bill from being passed, they must be taken as the enemy of the people and they should be treated as such. Because if you enjoy autonomy from the Federal Government, why donâ€™t you want Local Government to enjoy autonomy?